Yesterday was my second gardening day of the season. We were fortunate to have a nice weather, a little bit windy at the end but still nice, perfect for gardening. The day before yesterday I've managed to clean the raspberries so they can grow new stems. 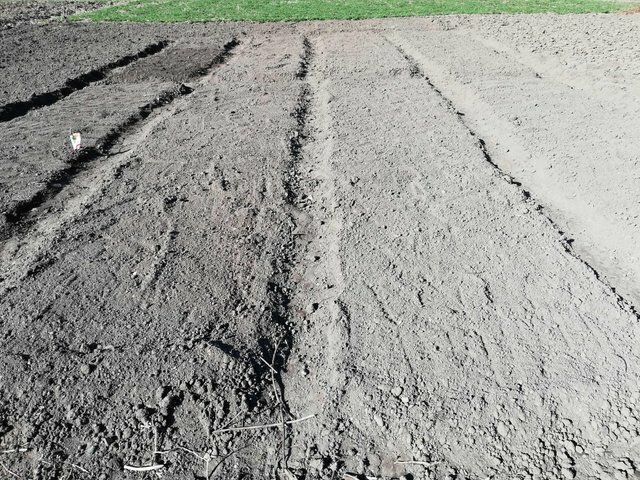 Yesterday was onion and garlic day, those are the first to be planted always. 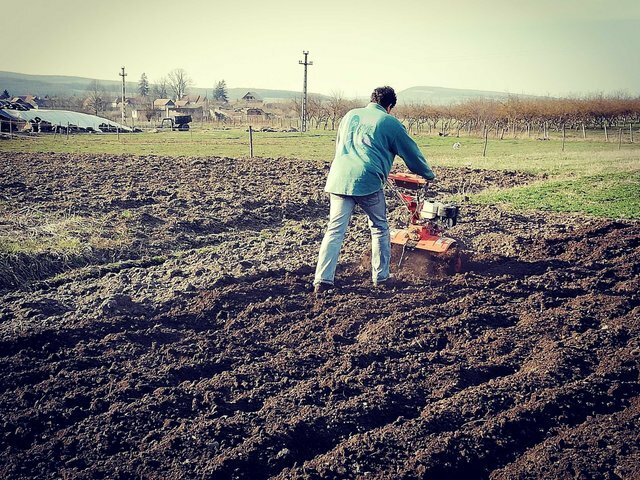 My neighbor is preparing the land for me. This is a much needed operation before I start planning. I need the field to be soft. 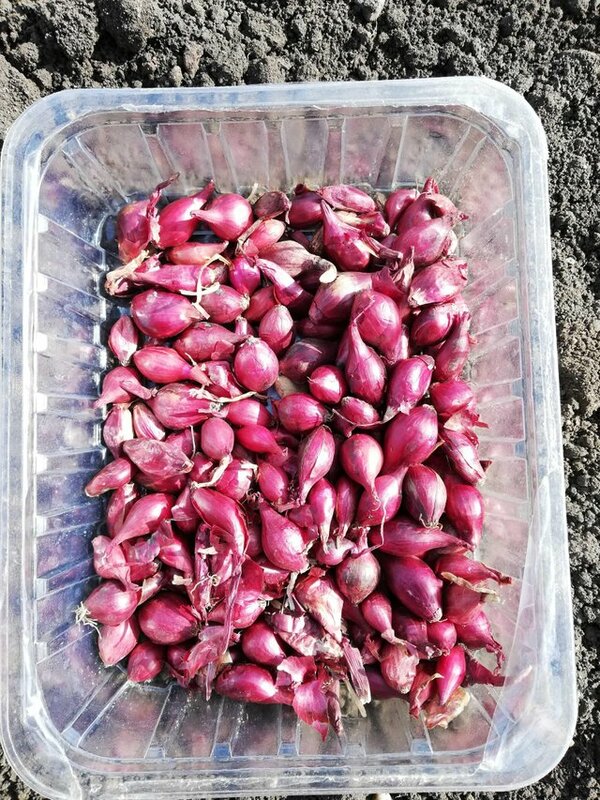 For those of you who are not familiar with the onion planting process, these are the little onions, onion bulbs, I guess these are called sets as well, that we plant. We're planting red, yellow and white each year because each of them has a different taste. When cooking, it's recommended to use more than one type to get a much better taste. Three beds, ten meter long and one meter wide each, with red, yellow and white onions, plus the garlic. Today we have to do peas, carrots, parsley and potatoes. This is my entry to @simplymike's #gardenjournal2019 SteemIt Community Garden Journal Challenge - March (+Steem-Bounty). It is so nice to have a neighbor to assist with getting your field ready. I love how much space you have. Enjoy your gardens. Today I am moving all my plug trays full of seedlings into the greenhouse. Our nights are finally warm enough for them not to freeze. YaY! I have a good neighbor like that too, we are always helping each other out. I have been transplanting the seedlings into larger trays and the greenhouse is fast filling up. I always start my seeds under lights in my garage to save on the electric bill. It would be sky high if I was trying to keep the greenhouse heated in Feb-Mar. The sun is coming out and it looks like another beautiful spring day. Have fun gardening, Erikah. Nálunk még kicsit odébb van, inkább április elején szoktuk eltenni a hagymaféléket. Sokszor belefutottunk, hogy a jó idő miatt előbb ültettünk, aztán jött még egy kis hideg, és lelassult a növekedésük. Nálunk attól függ, hogy milyen az idő, de most már ideje volt. Awsome gardening update! We still have frost in The ground here in South Dakota. 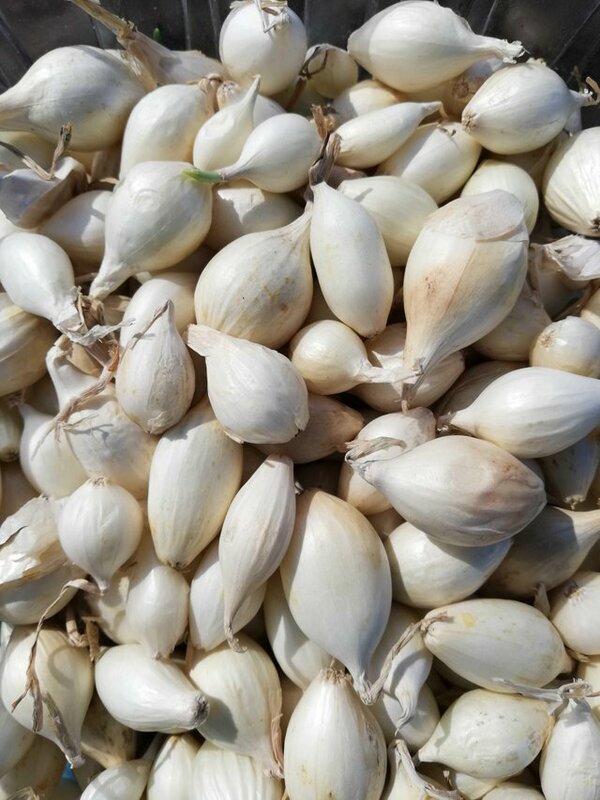 I planted garlic patches last fall. We bought our onion bulbs yesterday. Your UA account score is currently 4.357 which ranks you at #2480 across all Steem accounts. Your rank has dropped 26 places in the last three days (old rank 2454). In our last Algorithmic Curation Round, consisting of 221 contributions, your post is ranked at #63. That's not good, looks lik i have to improve my score. thanks for letting me know.